Tyndale House Publishers, 9781414326009, 256pp. In a shocking turn of events, all writers for the "Wexburg Academy Times" will cast their votes for next year's editor—and it looks like Savvy's vote will be the tie breaker She must choose between a nasty-girl-turned-nice, with a sudden interest in letting Savvy get what she wants, and the prickly Hazelle, who promises nothing at all. Savvy then finds herself wrapped up in a new, seemingly innocent but potentially dangerous activity. 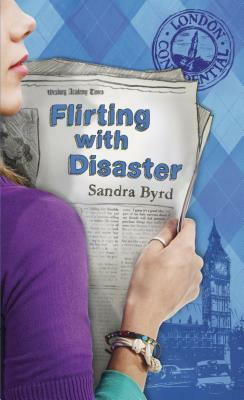 It's all at risk in this book: her position on the paper, the boy she likes, the ministry she wants to go well. At a critical moment, Savvy must figure out how to rely on God rather than luck and to overcome temptation before it is too late. London Confidential is a new series for young girls. In the series, British fashion, friendships, and guys collide as an all-American teen girl learns to love life and live out her faith. The series follows Savvy's entertaining attempts to fit in during her first year at a new school in a new country.